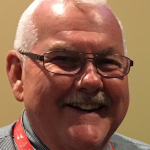 Ed Peak has covered UofL sports since 1973, as a student reporter, as a correspondent for the Courier-Journal, a freelancer for the Associated Press and United Press International, as well as ScoreCard, Fox Sports and CBS radio. 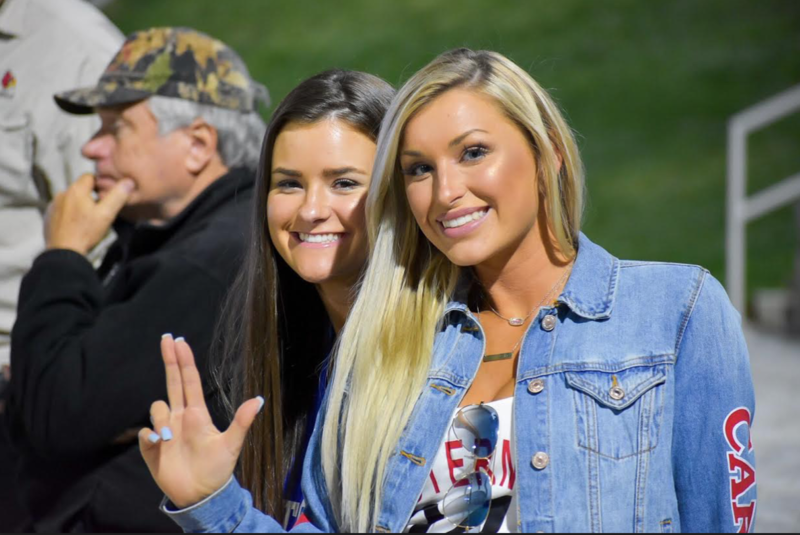 Editor’s Note: The college baseball season has arrived, believe it or or not, with the University of Louisville opening against UConn in the first of a three-game series at Lakeland, Fla. 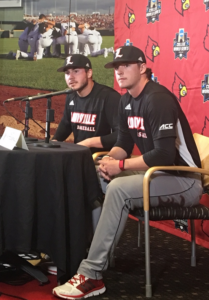 The series begins on Friday evening at 6 p.m. with game two set for Saturday at 3 p.m. and the finale on Sunday at 1 p.m.
Logan Wyatt couldn’t help but bring up the painful past during the University of Louisville baseball media day recently. Specifically, his team’s loss in the Texas Tech Regional. One game away from another College World Series, the Cardinals were unceremoniously dumped 11-6 by the home-standing Red Raiders in a game that was never really that close. 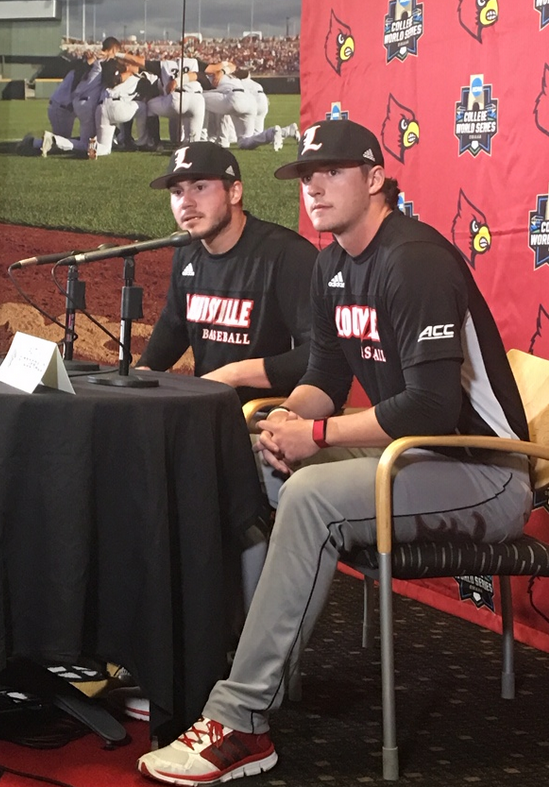 Louisville teammates Tyler Fitzgerald and Logan Wyatt discussed prospects for the 2019 season (Photos by Ed Peak). Infielder Tyler Fitzgerald echoed Wyatt’s feelings. “It’s with us a lot,” said Fitzgerald. “We talk about it every week. It was no secret we were a young team last year. We’ve got guys that will step up. 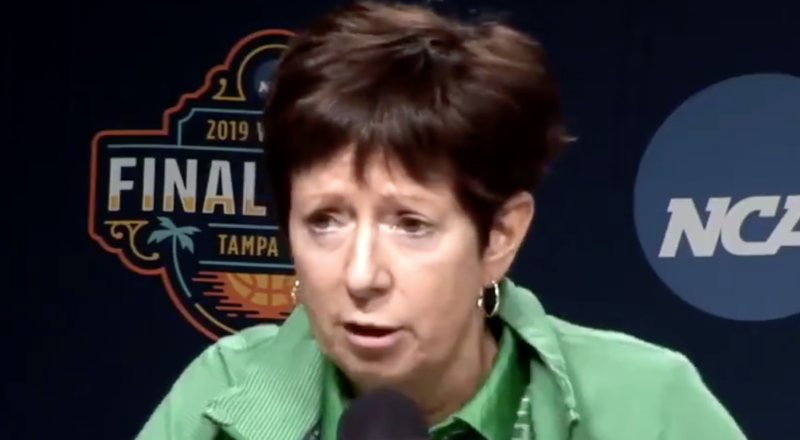 “One of our goals is we host a Regional and a Super Regional. I think that will make it a little easier on us. That was not the ending we wanted last year. It has definitely helped prepare us for the upcoming year. We know what to expect now,” said Fitzgerald. All three games against UConn this weekend are scheduled for coverage on 93.9 The Ville. 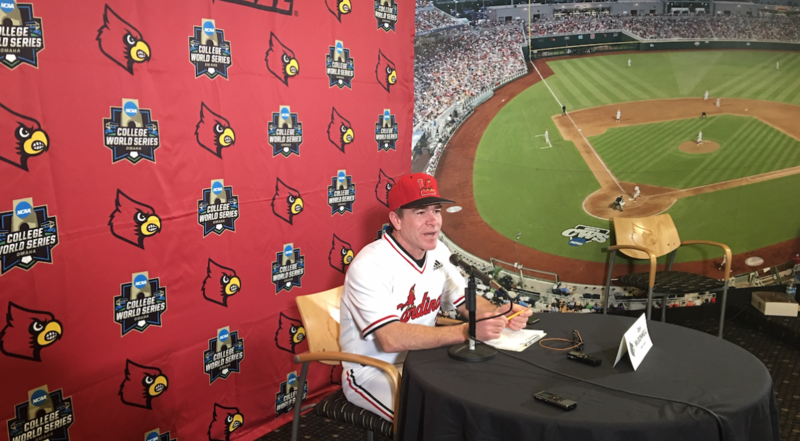 Louisville returns a bulk of that team from last year, according to coach Dan McDonnell, and added a freshman class that could help this team get to Omaha and the College World Series for the fifth time in program history. The Cardinals were ranked ninth by Street & Smith’s preseason publication. Oregon State the defending champions were ranked No 1 followed by Louisiana State, Vanderbilt, UCLA, Auburn, North Carolina, Stanford, Arkansas and Florida. “We’ve got a bunch of leaders this year that can step up and if we keep the leaders going in the right direction we’ll be all right,” said Wyatt a junior from North Bulllitt High. Wyatt has received some preseason accolades after batting .339 and leading the team with 69 runs batted in. His six home runs were second on the team. Danny Oriente, Drew Campbell and Jake Snider also hit 300 or higher last season. The pitching staff includes some familiar names, including Reid Detmers, Austin Conway, Bobby Miller and Shay Smitty. The Cardinals are ranked in most preseason polls somewhere in the top 10. Last week Atlantic Coast Conference coaches voted UofL as the top team in the conference edging perennial power Florida State. 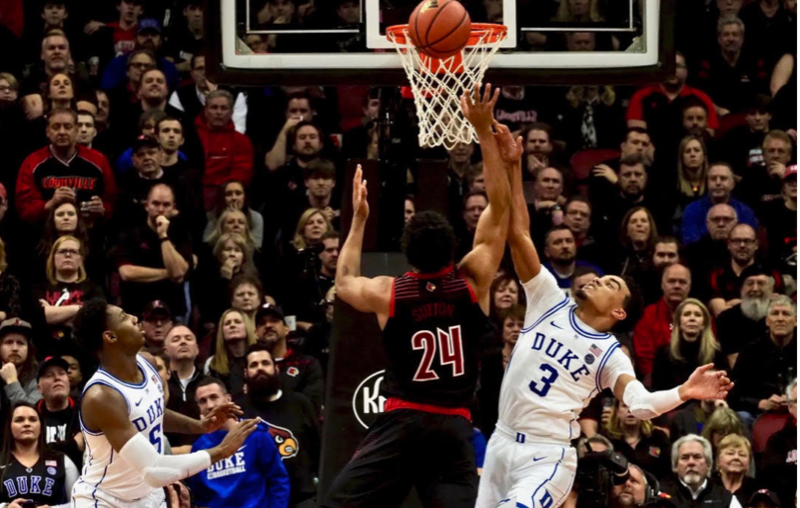 Duke Coach Mike Krzyzewski was in near panic mode before Louisville got slippery fingers and collapsed, giving up a 23-point lead (Cindy Rice Shelton photos). Things aren’t always as good as when everything seems to be going well. When things going bad, they are not as bad as it seems. Louisville leads No. 2 Duke by 23 points with 9:54 to play. The Cardinal fans in the crowd of 22,046 are delirious. Then all of the sudden the bottom falls out. The roof caves in on Louisville. Duke erupts for a 71-69 win, leaving the Cardinal faithful in dismay. 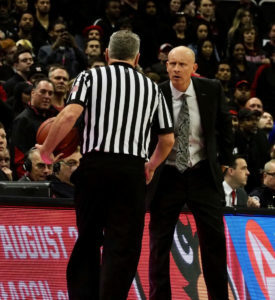 Chris Mack had his team prepared for Duke but his players couldn’t sustain the effort indefinitely (Cindy Rice Shelton photo). 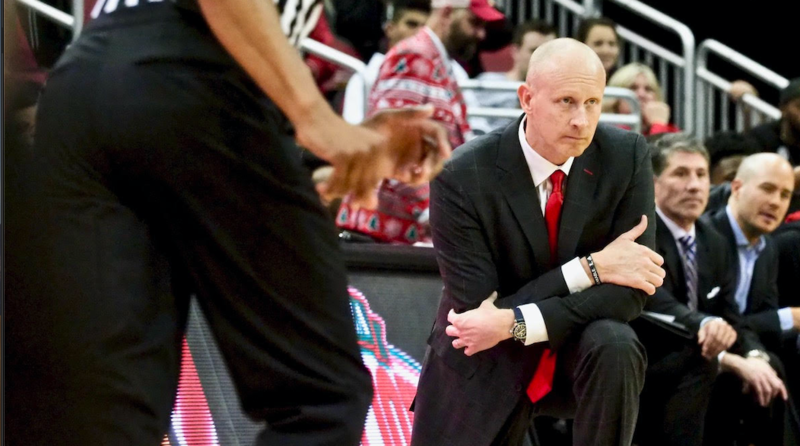 “I’m stunned,” said Louisville coach Chris Mack. The Cardinals under a barrage of turnovers were outscored 35-10 the rest of the way. The Cardinals had only three field goals the rest of the way. They had only four turnovers at halftime but finished 17. It was the second straight game Louisville lost a late lead. Saturday, Florida State edged the Cards 80-75 in overtime after leading by seven with around four minutes to play. Louisville (17-8, 8-4) started playing a big conservatively in the last eight minutes. They were playing not to lose. They quite attacking. When Duke (22-2, 10-1) turned up the defensive pressure the Cardinals didn’t respond. Duke was ready for a loss. Last Saturday the Blue Devils beat No.3 Virginia, 81-71. So it figured you might get Duke at a good time. Freshman Zion Williamson led Duke with 27 points and 12 rebounds, but played the second half in series foul trouble. He picked up his fourth with 12:14. He returned with 9:41. 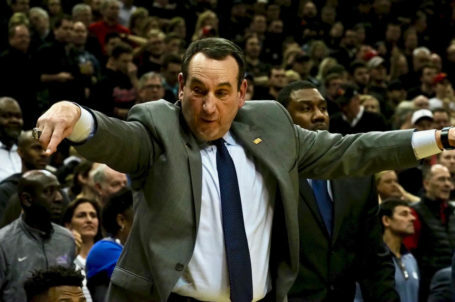 “Give Duke credit, they turned us over it seems like 1,000 times in the last four or five minutes,” said Mack. Duke had 15 points off turnovers and 11 steals in the second half. Williamson had three steals. 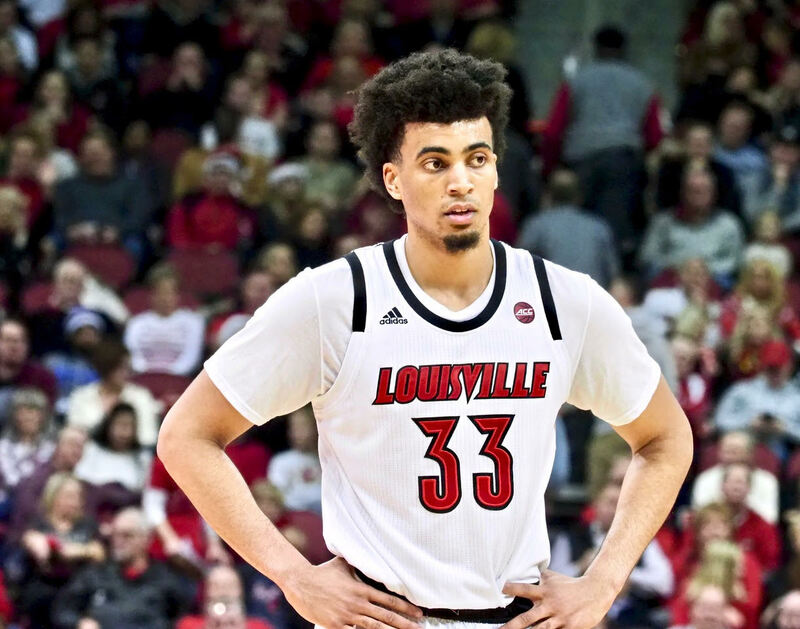 Jordan Nwora led the Cards with 23 points and 12 rebounds. He played probably his best game of the season. Dwayne Sutton added 15 points and six rebounds. Steve Enoch came off the bench for 14 points and thee rebounds. 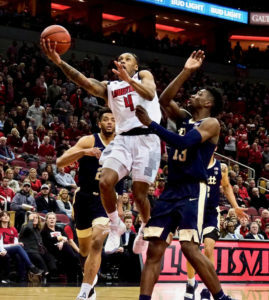 The Cardinals got a good performance from guard Darius Perry who had six points, but did turn the ball over three times. Graduate transfer Christen Cunningham didn’t score but had 12 assists but did turn the ball over six times. He had difficulties seeing over the bigger Duke guards. Did the full court press Duke employed at the 9:54 juncture do UofL in? “That’s a great question,” said Mack. “I think that our spacing was good, we were just tentative. Every pass was like they wanted it to get to their teammate and that tentativeness becomes a negative when you have such a great anticipating teams. 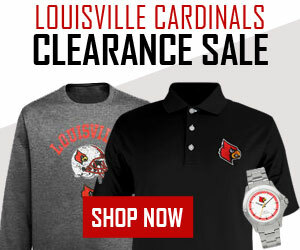 Maybe this is a good week for the University of Louisville women’s basketball team to take a break. A respite from all the travel and rigors of the rugged Atlantic Coast Conference. 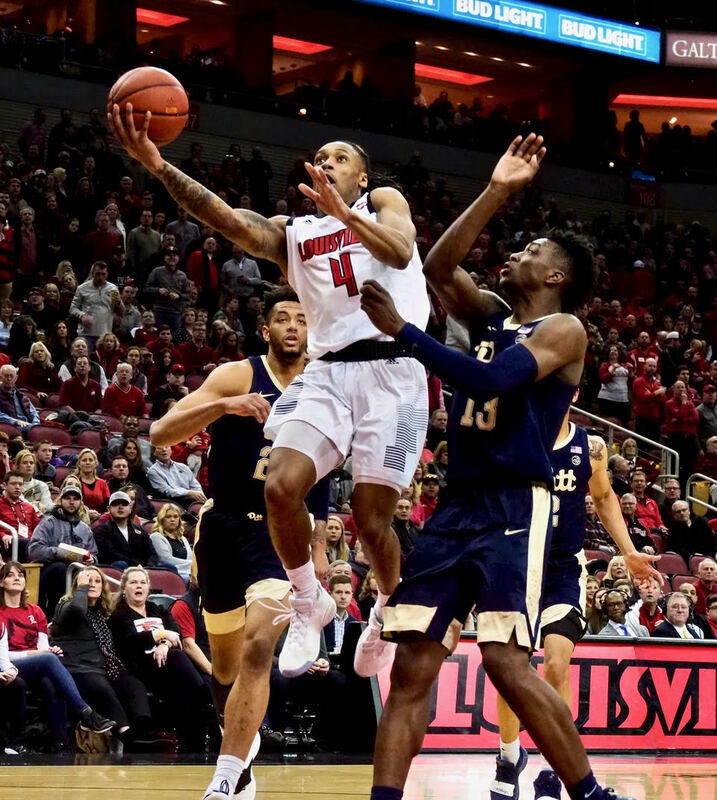 Jeff Walz saving his timeouts, letting his players work themselves out of jam against Virginia Tech (Cindy Rice Shelton photos). 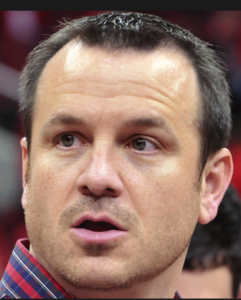 Jeff Walz has had a great time this season, often joking, clowning and high-fiving his players as they have wound their way to a 23-1 won-lost mark. But he was not smiling Sunday when Virginia Tech cut a 20-point lead to five points with less than a minute to go. That look of confidence replaced by one of genuine concern on that stubble-framed countenance. 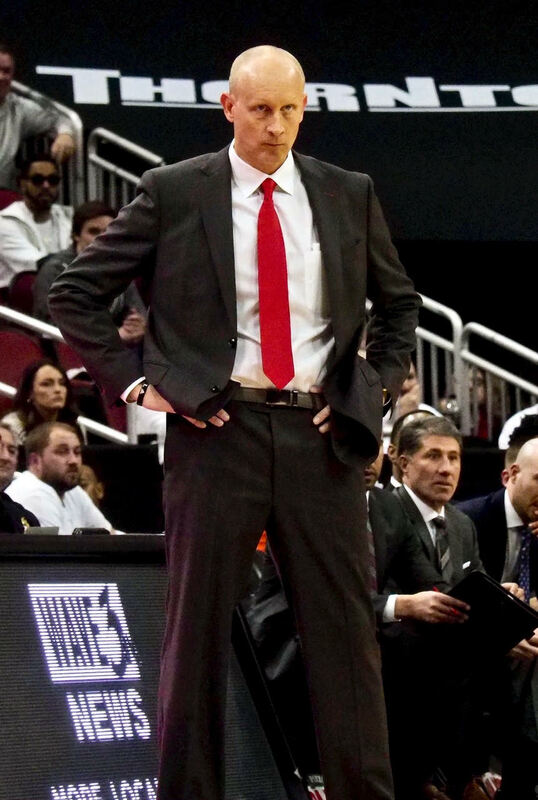 He knew they were in trouble. The second ranked Cardinals letting a 20-point lead dwindle to almost nothing to a team hitting everything it threw at the basket in the fourth quarter. Walz avoiding using up precious timeouts during those final minutes, wanting his players to get themselves out of troubling situations. “I wanted them to figure it out themselves,” he said. Durr taking the cue, digging deep, taking the team on her shoulders again. Durr has been banged up a bit lately, actually sitting out a game two Sundays ago. 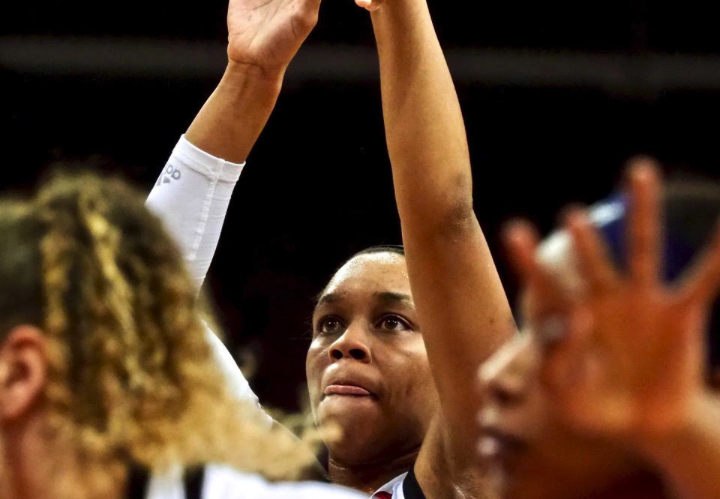 But Asia would answer the call time and time again in a scary 72-63 win at Virginia Tech. With more than a little help from Sam Fuehring, banking layup after layup during the late going. Durr would wind up with 34 points for the game, the fourth 30-point-plus outing for her career. The go-to player in the clutch, making five of seven 3-point attempts and all seven of her seven free throw shots, the final two icing the win with 13 seconds to go. Fuehring would collect her fourth double-double of the season with 21 points and 13 rebounds. The close call for the Cardinals a reminder that the ACC remains one of the women’s college basketball’s toughest conferences. The week ahead a time to heal, get back to the basics, and prepare for the stretch drive. No time to take anyone or anything for granted. 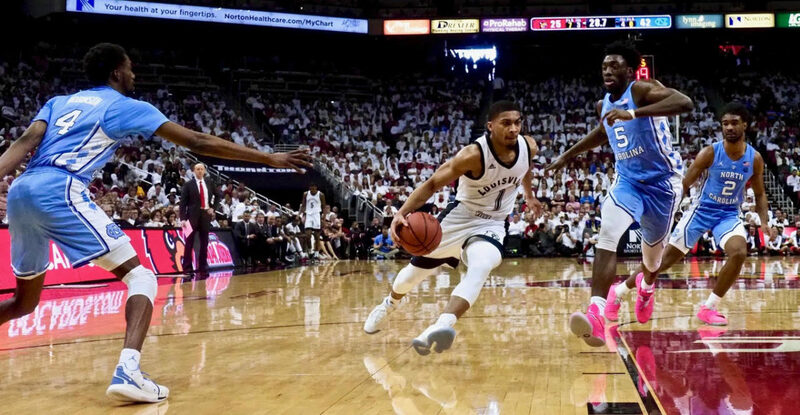 Next game Sunday at 3 p.m. against Miami, a team fresh from upsetting Notre Dame, one game behind the Cardinals in the ACC standings, a team not be taken lightly. Yes, Louisville was totally outplayed by North Carolina Saturday but it’s not the end. Not with three more ranked teams to follow. Plenty of time to readjust, get more quality wins. A lot of things went wrong during the loss to North Carolina. Rebounding. 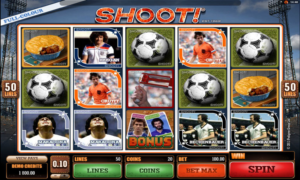 Consistent scoring from some of its leading scorers. But the most puzzling things missing were the excitement and toughness the Cardinals have played with this season. Maybe the Cards were thinking playing at home against a team three weeks earlier they embarrassed 83-62, wouldn’t be that tough. Not Saturday, this was North Carolina, ninth ranked team in the nation. 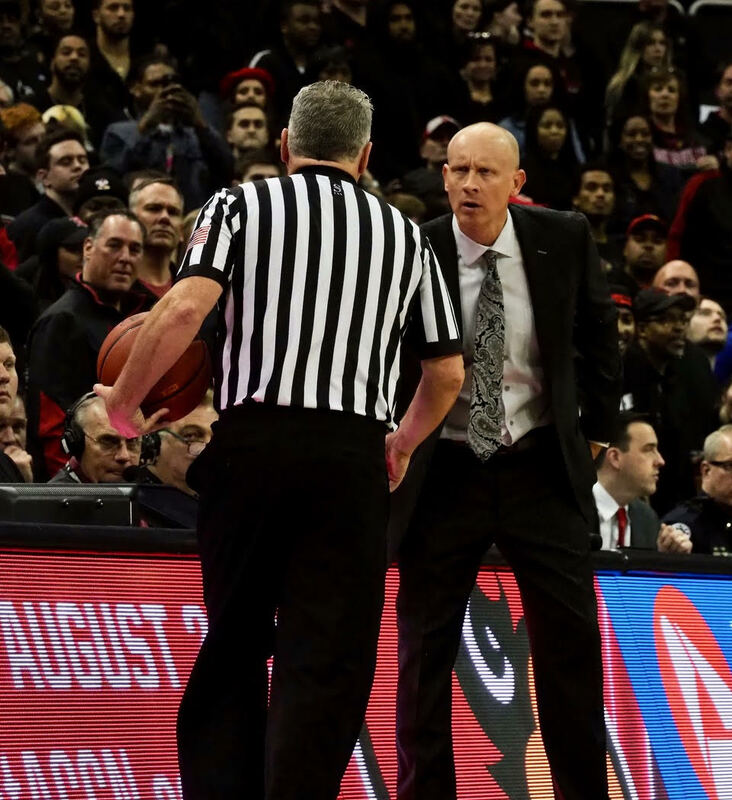 Coach Chris Mack bemoans lack of fire in a 10-point loss to North Carolina (Cindy Rice Shelton photo). The game was designated as a “white out” and had a boxing theme with Muhammad Ali videos. But the Cardinals came out limping and were out-punched. North Carolina had four players score in double figures, led by Luke Maye’s 20 points and 11 rebounds. Cam Johnson added 19 points and 10 rebounds. UNC out-rebounded the Cards 49-32, 18-7 on the offensive boards good for 18 second chance points. Louisville (16-6, 7-2) ranked 15th once in the first half missed 10 of 11 shots from the field and trailed 44-28 at halftime. The Cards did bounce off the mat cutting the lead to 58-49 midway through the second half. Guard Christen Cunningham was on his game with 15 points, four rebounds, nine assists and one turnover. Cunningham agreed with Sutton. 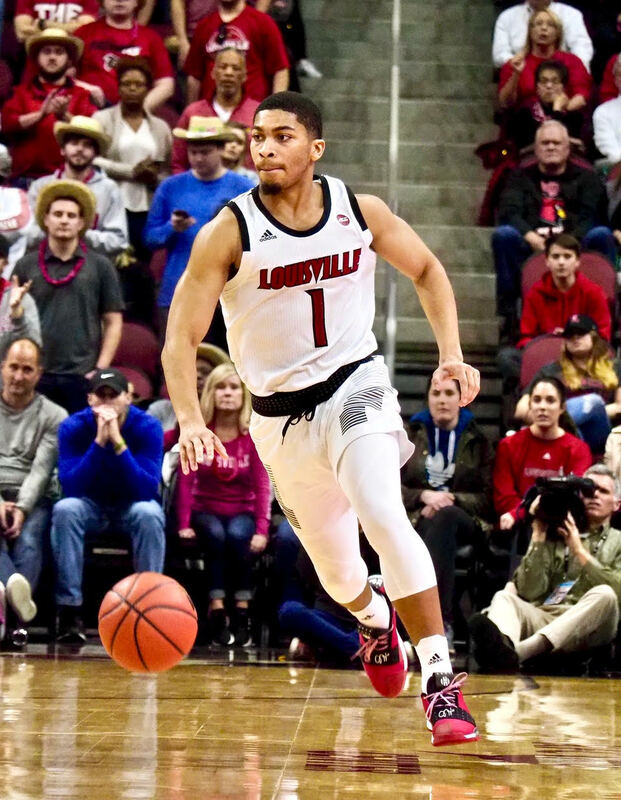 The Cards play at 12th ranked Virginia Tech (18-3, 7-2 ACC) Monday. 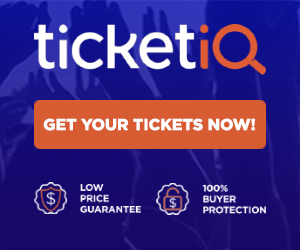 The Hokies under Buzz Williams are coming off a record setting 47-24 road victory over a good North Carolina State team Saturday. Monday’s game will be the second of four straight ACC opponents. 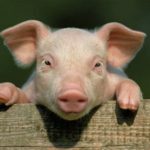 No time for more rope-a-dope, passive aggressive is counter productive.